SINGAPORE - The U.S. Navy will join allied and partner nation militaries for the 13th Pacific Partnership mission, scheduled to begin Feb 23. This annual maritime operation will help improve disaster response preparedness, resiliency, and capacity while enhancing partnerships with participating nations and civilian humanitarian organizations throughout the Indo-Pacific region. Pacific Partnership is the largest annual multilateral disaster response preparedness mission conducted in the Indo-Pacific. 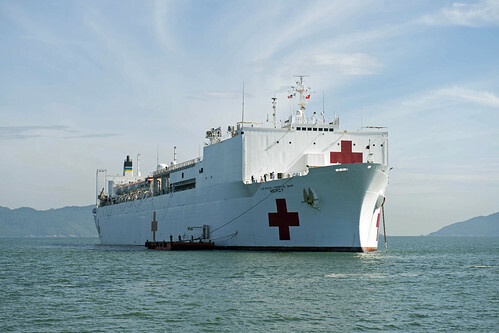 This year's mission will be led by Commander, Destroyer Squadron 31 and staff, embarked on the hospital ship USNS Mercy (T-AH-19) and the expeditionary fast transport ship USNS Fall River (T-EPF 4), and will include more than 800 military and civilian personnel from the United States, Canada, United Kingdom, Australia, France, Peru, and Japan. "Through Pacific Partnership we are deepening integral ties with our allies and partners across the Indo-Asia-Pacific region," said Rear Adm. Don Gabrielson, Commander, Task Force 73, the executive agent for Pacific Partnership 18. "The challenges we face with natural and manmade disasters do not respect borders or national sovereignty. This dynamic mission enables many nations and subject matter experts to come together to pursue solutions to complex problems while enhancing preparations for disaster emergencies that reduce the severity of their impact. The foundation of trust created through Pacific Partnership engagement helps foster a cooperative environment that encourages collaborative approaches to improving the lives and conditions for the people of this region and beyond." USNS Mercy will make mission stops in Indonesia, Sri Lanka, Malaysia, and Vietnam while USNS Fall River will visit Yap, Palau, Malaysia, and Thailand. Medical, dental, civil-engineering, and veterinary teams will partner with each host nation to conduct civic-action projects, community health exchanges, medical symposiums, and disaster response training activities. Additional community relations engagements will occur in each mission stop to enhance relationships and camaraderie with citizens of the host nations. Following the mission stops, Mercy will also visit Japan during its return transit across the Pacific Ocean. 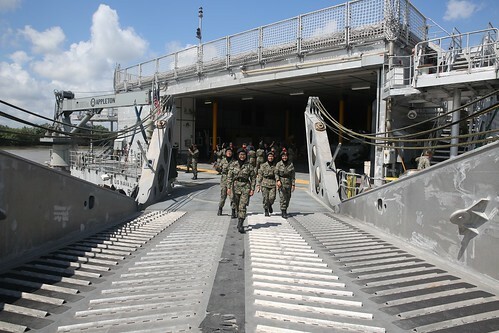 Engagements between Pacific Partnership participants and host nations are intended to improve capacity, enhance regional partnerships, and increase multilateral cooperation for preparedness. A multinational command-and-control structure will be used to include a deputy mission commander from the United Kingdom and mission chief of staff from Australia. The mission will visit Sri Lanka for a second consecutive year to enhance ties with the Indian Ocean nation. Pacific Partnership will continue to leverage the U.S. National Action Plan on Women, Peace, and Security (WPS), a plan backed by Executive Order 13595 and UN Security Council Resolution 1325. Integration of WPS into Pacific Partnership yields opportunities to engage with partner nations on the topic of gender integration and perspectives, as well as preparedness in dealing with vulnerable populations (women, children, elderly, and disabled) during and in the aftermath of crises. This year’s mission will return to Indonesia, Malaysia, and Vietnam, where the United States continues its legacy of strong cooperation and defense ties with these nations.